"Food! Photos! People! Love! Eating with our eyes, mouths, hearts, minds, and souls..."
The irony is not lost on me that one of America's most cherished foods is embedded in his surname -- which, incidentally, affords his persona an added measure of flavor! As 2015 draws to a close, many of us who have resided in or around New York City for more than a generation are quick to righteously bemoan the gentrification, homogenization, over-commercialization, and consequent purification of our beloved five boroughs, which has accelerated rather significantly in the 21st Century as economic inequality soars and technology becomes increasingly pervasive and distracting. The residual effects stretch nationwide -- what happens in New York City happens to America -- from your bank account to your dinner table. However we New Yorkers are also quick to cherish the "cracks" in our for-better-or-for-worse metropolis, because, as Leonard Cohen -- the Canadian troubadour -- expounds "that's where the light comes in..." Amid the unravelling of the prized fabric of iconic New York -- from the loss of precious music venues, treasured mom-and-pop enterprises, eccentric neighborhood eateries, valued architecture, and the blue-collar bravura which once tempered white-collar conceit -- there are the "keepers of the flame" who shine a light through these aforementioned fractures. One such local sage who keeps the genuine food flame burning, and ignites a few embers himself along his journey -- is reasonably accessible -- that is, if you know where to find him. 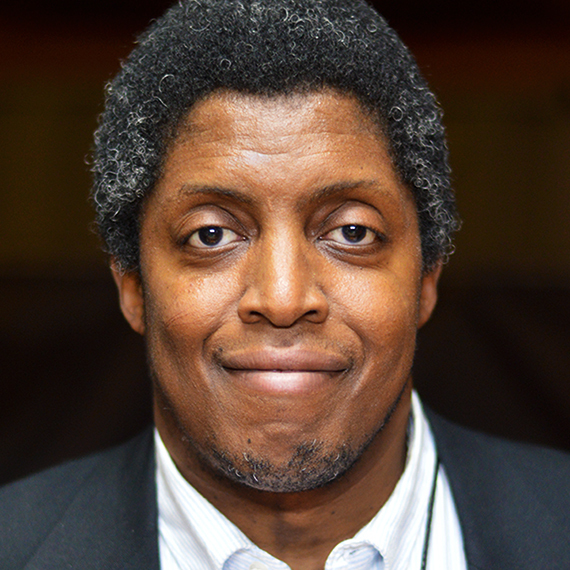 A writer, photographer, web-designer, poet, essayist, editor, historian, videographer, and foremost a food journalist-blogger and chef, Kerry Alaric Cheeseboro is turning the tables (pun intended) on what New York food is, was, and could be. As we are a city of stories, Kerry tells the tales which need to be shared by way of his latest online endeavor www.kac-food.com. "People who have a genuine passion for food are going to seek my website out..." notes Mr. Cheeseboro, whose smooth speech and cinematic vocabulary never fail to punctuate his commanding presence. Indeed, Kerry's images and libretto are as intellectually appetizing as they are hunger inducing. I often find myself patronizing one of Kerry's culinary revelations within hours after he publishes the corresponding missive. I am not alone! Methinks readers will find Cheeseboro's KAC FOOD informative, educational, inspiring, insightful, entertaining, and above all -- essential -- as it provides a much needed counter-response to the misleading "pop" food culture as it is purveyed by corporate sponsored competitive cooking television shows which exude more sizzle than substance, along with various social media platforms which celebrate pomp and circumstance over culinary experience and authenticity. Kerry's words and images speak to the food novice (me), the New York City newcomers, and to the legions who live, love and eat in the city that never sleeps -- which is why we will always need 24-hour diners, which, in case you have not noticed, are closing at an alarming rate. Where it all began: "My dad was a cook at Columbia Presbyterian Hospital. He didn't make the hospital food -- no one 'makes' that! He created menus and dishes for corporate hospital events. So, besides growing up with his excellent and family-defining Southern-rooted soul food, he also liked to check out other restaurants. My mother, who considered herself a bit more 'worldly,' introduced me to restaurants specializing in cuisines from all over the world during my early youth. I didn't wind up in the restaurant business officially until I was 19 and started working at Dorrian's Red Hand. I was just a waiter - but the chef already knew I had some culinary chops and acumen, and I've pretty much had something on the menu there since. Today I'm lucky to have the respect of other restaurants which now have items that I created on their menu -- and are selling well!" Kerry Cheeseboro commenced his food blogging career over a decade ago when such journals hardly existed and were not helmed by teams of writers, photographers, and publicists. KAC FOOD is what Kerry considers to be the "2.0 version" of his popular PHUDE (NYC) "Food. Photos. 'Tude" online platform in previous years. Kerry also has a Pop Sauce in the works which, as I expected, has its own story. "I have this principle when I cook of the Five S's: salty, sweet, savory, smoky, and spicy. These five elements, which I have aggregated over a lifetime in food, speak to all those things that the mouth can do. After people sample my Pop Sauce for the first time, I inform them about my Five S's and when they try it again; they tell me it tastes even better! And I get that! It's happened to me over the last twenty-five years. These elements speak to me, and to other people as well." Rather than this writer attempting to paraphrase the words of Mr. Cheeseboro; I hereby suspend my distaste for Q & A interviews and share with you some of Kerry's rejoinders to my queries ruminating over a New York City food culture worthy of deeper exploration. Indeed, Mr. Cheeseboro's light is shining through the cracks of our urban environs. Q: Describe the "personality disposition" of the restaurant worker as you see it. A: "Chefs and cooks were, for a long time, misfits and outcasts. They were the oddballs in high school and college, usually not on the sports teams and with the cool kids. Often they are aloof loners who could thrive in small tight quarters for long hours with just a small handful of co-workers. Bartenders, wait-staff, and managers get to interact with the customers, however the people who actually make the actual things that people go to restaurants for rarely get to interact or engage with their customers. They have been long behind the scenes, safely out of range of criticism and scrutiny, but also away from praise and compliments as well. They are -- were -- only comfortable with small groups of people, and almost always only in the same industry. Theirs was a vocation with no expectation of recognition or glory, much less fame or celebrity. That change has only occurred in the last 10-15 years, and exponentially so over that time." Q: What are their dreams? Their ambitions? Were they born into restaurant families? A: "Like most vocations of note, the dream was just to pursue and practice their passion. Some grew up in the industry with their families and by the time they were young adults, they didn't know what else they wanted to do. We are long past the '& Sons/Daughters' era of food culture here in New York City. Where food purveyors once hoped to run businesses for generations, they now anxiously hope they can survive the first couple years of their business lease. And as such is the mentality -- the dream -- is of a much shorter term success." Q: Explain the celebrity, Food Network, Yelp scrutinized culinary culture that has emerged in New York City. A: "A funny thing happened just over fifteen years ago. It's called the American airing of the original Japanese version of Iron Chef. The Food Network was already growing in popularity thanks to eventual household name chefs such as Emeril Lagasse, who brought the cooking show format to a growing communal TV audience. The original Iron Chef was so beyond what Western audiences thought of as a cooking show -- they presented it as a spectator sport -- calling their events 'battles' -- with rivalries, champions, underdogs, villains, and heroes. It became high theater and made a star of Masaharu Morimoto before he ever stepped into New York City, and gave Bobby Flay even greater bona fides when he bested the highly revered and respected Morimoto in the first crossover Iron Chef battle. It is my belief that this event brought food culture and those involved in it greater national attention than it had ever received before. It broke the mold of generic kitchen TV sets showing affable yet otherwise bland people making casseroles, to what would become showcases for chefs already in the biz to show what else could be done with food. Anthony Bourdain saw an opportunity to show what he loved about food -- the people, the history, the provenance, the ingenuity -- and eschewed the market-friendly devices of the Food Network and presented his love of food and experience with the more fitting A Chef's Tale, then, of course No Reservations, and all iterations on the same theme thereafter. Through his particular skew he made food culture interesting again, and relevant to the pedestrian appreciator. Reality TV was at the very same time starting to take hold as the prominent broadcast format, especially in their competition form. Complete unknowns became famous within mere months -- it was no stretch to apply the same idea to the burgeoning popularity of the cooking world. Top Chef gave chefs far more exposure in that first season than they could ever hope -- most admitting to only signing up for it for the cash reward, as they never expected enough people would care to watch and eventually recognize them on the street. Now, you may have noticed, everyone is either a chef or a food expert, mostly just for the exposure. Or for 'brand building.' Or for the web traffic and 'followers.' In this new era that encourages and rewards narcissism, anyone who can make a grilled cheese sandwich using kimchi fancies him or herself worthy of their own restaurant in mere months. They feel too entitled to have to start out as a dish washer and work their way up the ladder over years; instead they want to start in the restaurant kitchens on the line with little or no experience, and expect to be head -- even executive chef -- within a year. You can make the best burger in the world, but if it's not also topped with crispy pork belly, a fried duck egg, and served on a tea-steamed bun, who cares? Certainly not most Yelp users, who see it as a most important and necessary vocation to judge, critique, and ridicule restaurants, most of them having absolutely no knowledge, history, understanding of all that goes into a restaurant, running a profitable business, and needing to cater to all customers, not just individual ones. Q: What do you hope to achieve with KAC FOOD? A: "Ironically enough, I think there is too much food, too many restaurants, too many cooking shows, too many chefs, too many food-related websites, too many food review sites, too many 'foodies' which is a term I hate and represents much of what is wrong with 'food' culture today, as most of the people who consider themselves 'foodies' are not chefs, have no real depth of knowledge, history, or experience with food. I could argue that I am part of the problem, but I continue to believe that I've enjoyed the success and respect with my food bogs because of my personal history with food, from being a lifelong cook, from thirty years in the food and beverage industry. I came from a place and personal history, passion, and respect, and it hopefully shows in the copy I write. I want to highlight the work that goes into the final product. I like to believe that if people understood all the things -- all the decisions, all the hard work -- that have to happen for that plate of to arrive in front of the diner, it might taste better. I'm just trying to bring good taste back to a food culture that has gotten noticeably distasteful over the last several years!" To which Kerry emphasizes with one of his many perceptive analogies of food, life, and New York City "if you don't know how to kiss properly or appreciate a good kiss...it does not matter what else you try in the Kama Sutra!" 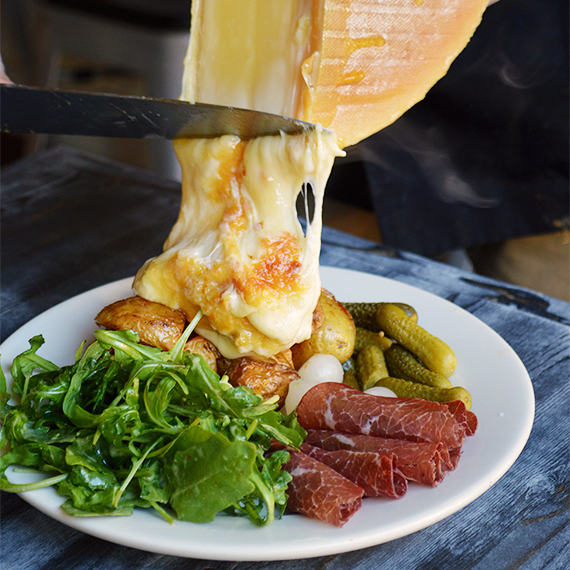 Photographs by Kerry Alaric Cheeseboro: The Raclette is from the restaurant of the same name in Alphabet City. 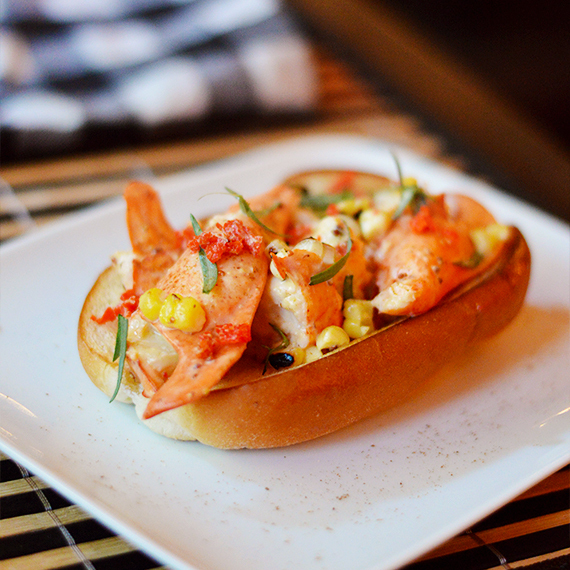 The lobster roll is a Kerry Alaric Cheeseboro creation.